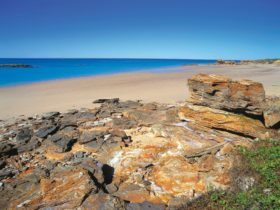 The coastal route south of Broome leads you to some of the most pristine stretches of white sand, top fishing spots, stunning ocean sunsets, and amazing bird watching and stargazing opportunities. 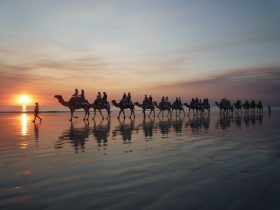 Camp under the desert night sky, or experience the height of glamping luxury. 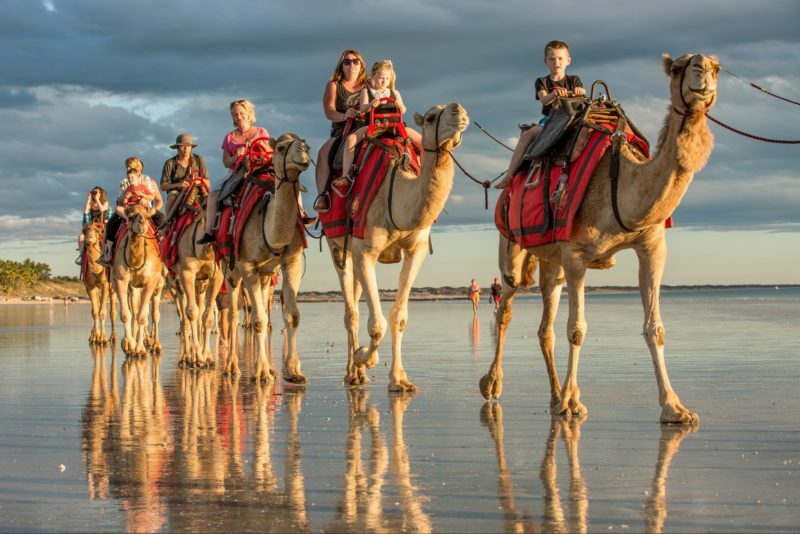 Follow Broome Road east from Broome town centre to reach the Great Northern Highway, and head south along the coast. 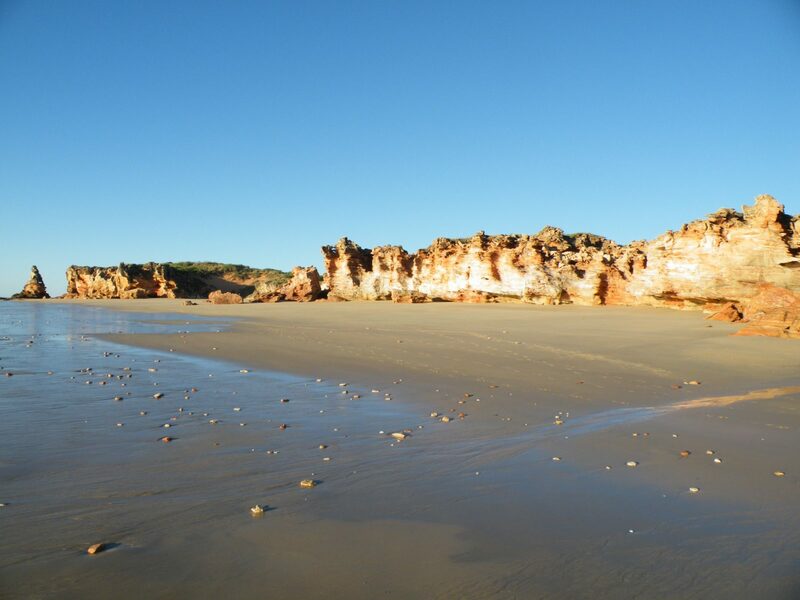 In just over an hour you’ll reach Eco Beach, where you can indulge in glamping comforts and join an Indigenous tour to see this coastal wilderness through the eyes of the local Yardoogarra people. 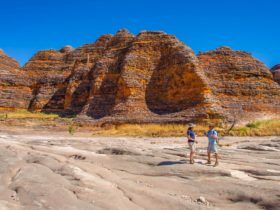 Another two hours down the highway brings you to the epic white sands of Barn Hill, Port Smith and Eighty Mile Beach – top spots for casting a line. 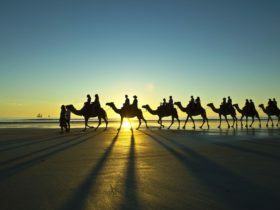 Blissfully tranquil, Eighty Mile Beach is the longest uninterrupted stretch of beach in Western Australia. Nature lovers flock to see flatback turtles and some of the 500,000+ migratory shore birds that feed and breed here. 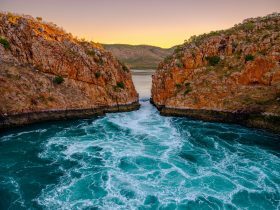 From here, follow the Warlu Way interpretive trail to discover WA’s richest marine habitat – the Dampier Archipelago – and explore two billion years of the Earth’s history in the gorges of Karijini National Park.